What’s a small city dweller to do when it seems big city folks have all the luck in love? Find a small city full of singles! 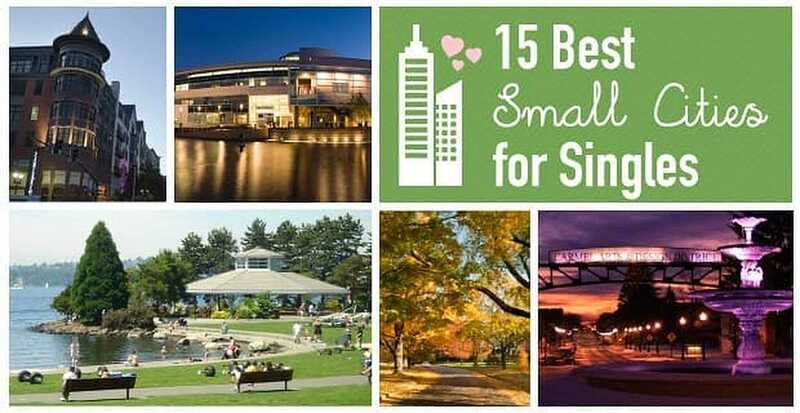 To help you out, we scoured the country for these smaller, single-filled cities. Using MONEY’s annual list of the best places to live, as well as comparing total population numbers and the amount of singles, we narrowed it down even further to create our final 15. While the cities on this list are small (all of them have populations under 100,000), they’ve got so much to offer, especially in terms of available partners. Knowing where is half the battle. Our picks of the best dating sites will make actually meeting these singles like shooting fish in a barrel. Known as Utah’s Dixie, this little city has everything you could want. The scenery, recreational opportunities and number of singles are just the tip of the snow-capped mountain. 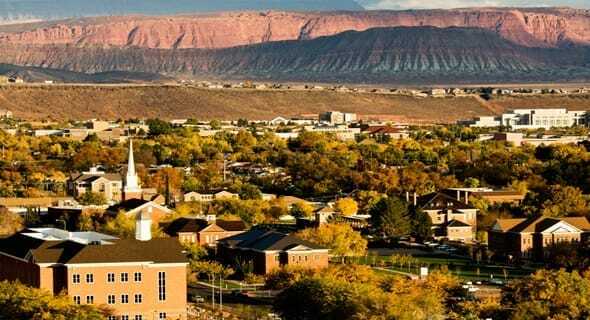 A low cost of living and higher-than-average wage make St. George beautiful and easily liveable. You’ll fall in love with St. George every day. And do you know the best way to enjoy this exceptional city? With an exceptional new beau. With “pleasant” in the name, it shouldn’t surprise you that this city is on our list! 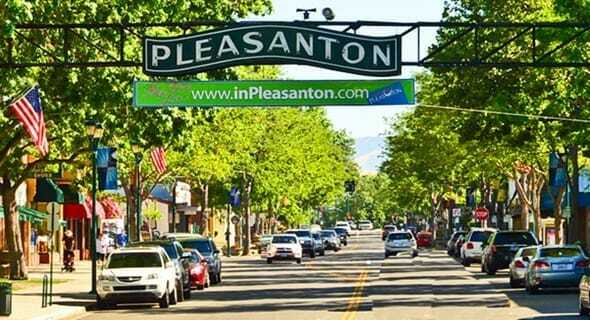 Just as lovely as its name implies, Pleasanton allows you to enjoy performing arts, fantastic dining and unique shops, all while you search for your next SO. 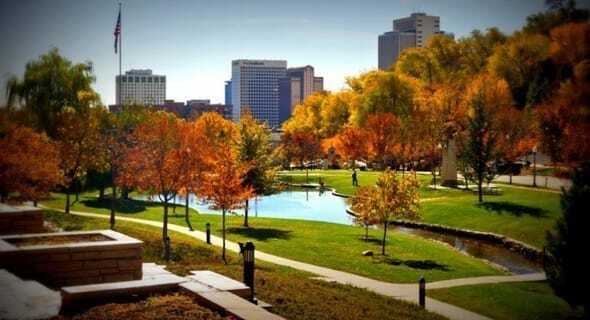 You two can enjoy every little bit of this little city, from the library to the golf course! First Wednesday, a weekly farmers market and Friday Concerts in the Park make great places to meet Mr. Pleasant(on)! 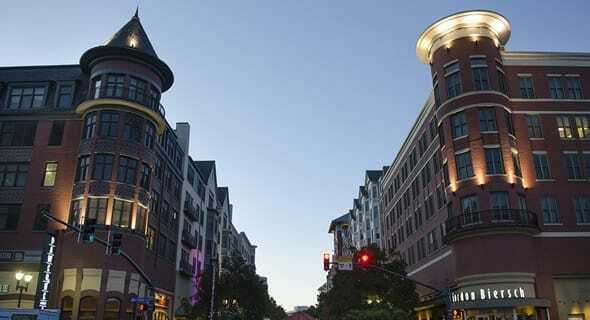 Rockville is a vibrant small city that focuses on bringing people together, so you’re sure to enjoy yourself while you wait to bump into one of the many singles. Maybe you’ll find them at one of the many retail centers or along the Technology Corridor? 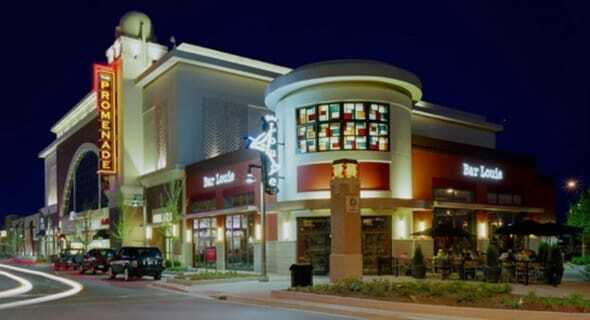 Wherever it is, the hometown charm of Rockville will have you rocking a smile. Also, keep your eyes on the bicyclists. Your new boo might be one of them, and riding around town makes for a great date. This little city is out to make a name for itself! Meridian has recently experienced huge growth, and it’s no wonder why. Considering there are already more than 30,000 singles, imagine what this city growth will do for your relationship chances! 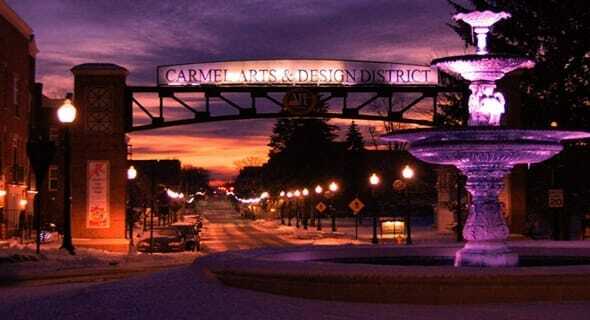 Home to the famous Arts and Design District, Carmel Marathon and The Carmel Center for the Performing Arts, Carmel is just as sweet a place as the name would have you believe. 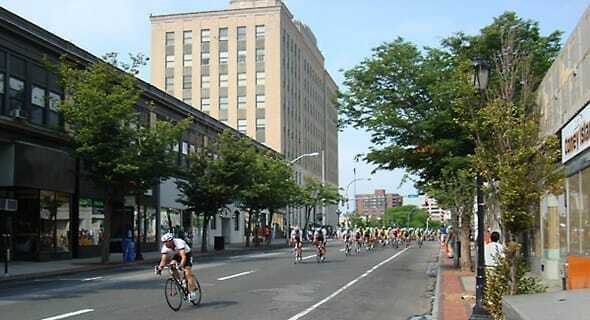 It is growing quickly and thriving economically, offering all the perks of a big city and the fuzzy feelings of home. This “just right” city will help you find a single lady or gentleman who’s also just right for you. You two will have a blast relishing the boutiques, museums and parks before checking out the Simply Sweet Shoppe (a very apropos stop). Innovative by nature, Rochester Hills combines the civilized and uncivilized worlds. While its renowned for its parks, trails and recreational offerings, the city also hosts corporate headquarters for various booming industries. Add in the Meadow Brook Music Festival, Yates Cider Mill and plenty of singles to create the perfect place. In this well-educated, community-oriented city, there is so much you’ll fall in love — in addition to your new beau! White Plains seamlessly brings together the traditional amenities of suburbia with a vibrant urban core, giving you the best of both worlds. A downtown business hub and premier retail center draw successful business folks to the area, where they (and you) can enjoy outstanding restaurants, cultural destinations and bouncing nightlife. With almost 33,000 singles, you can bet at least some of them are as wonderful as the city is. 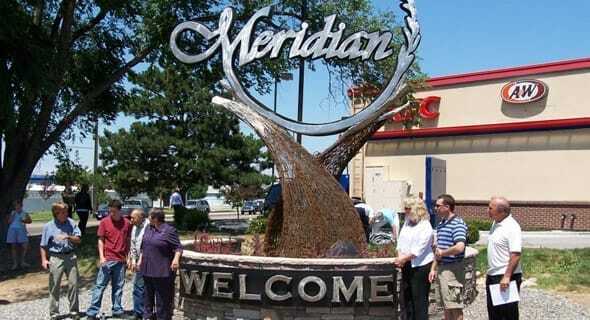 The sheer number of singles may draw you to O’Fallon, but it’s the one-of-a-kind attractions that will make you stay. The city holds festivals and events for every time of year, sharing the traditions that give this little city that cozy feel. From the Food Truck Frenzy to the Celebration of Lights, you’ll be utterly dazzled by all there is to celebrate. Here you won’t just find the love of your life — you’ll find the home you’ve been looking for. It might take a village to raise a child, but our research shows it takes the Village of Bolingbrook to create a community of growth and opportunity. 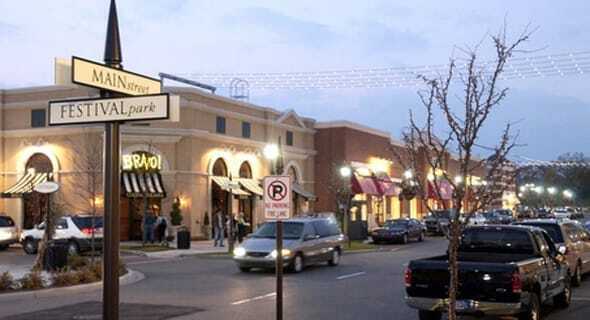 The park district is unparalleled, the businesses are booming and the singles are plenty. There’s no question as to why this city is so appealing. It has everything you could want! Hit a hole in one at the golf club, find the latest goodies at The Promenade and enjoy your (love) life. 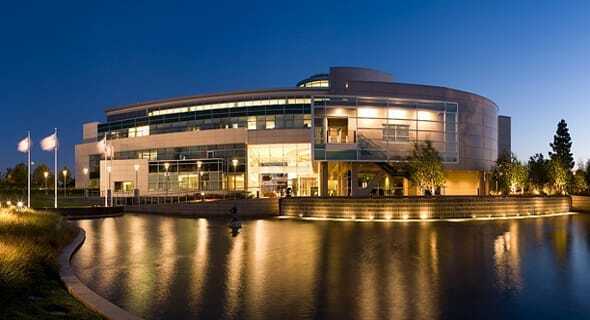 Abandon the hustle and bustle of the big city and live life at your pace in Milpitas! The abundance of cultural arts, mixed with the prime location of Silicon Valley, creates a smaller city that has a lot to offer, including plenty of available residents. From parks to shopping, this “little cornfield” is so much more than its name. You won’t need the Celebrate Milpitas Festival to feel grateful for this city. You’ll find something new to appreciate about it every day. 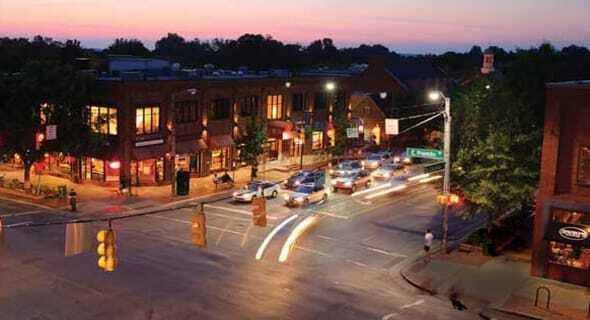 Festifall, the Varsity Theatre, the Morehead Planetarium and almost 40,000 singles are just a few elements that make Chapel Hill a wonderful place to live. 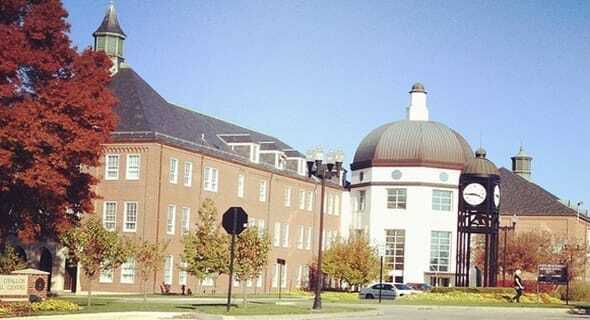 The university certainly has its influences, creating community centers and green spaces that add to the charm. A food, music and sports scene, the culture is an eclectic mix of awesome. You and your new boo will have plenty to do as you discover what you love about each other … and the city. Now a thriving commercial and technological center, Orem has learned to hold on to its roots while growing in a positive direction. The city will allow you to do the same with bountiful educational, employment and dating opportunities. Treats like the Timpanogos Storytelling Festival and the Summerfest celebration are simply bonuses to living here. This beautiful little city will help you find a new partner for love and a new home for life. 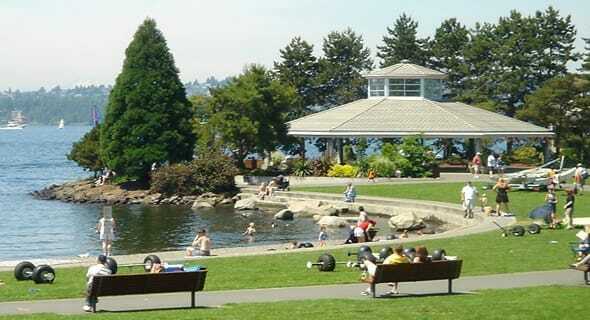 Home to a unique downtown waterfront, Kirkland has plenty of restaurants, art galleries, public parks, beaches and singles to satisfy all of your desires. Nearby technology firms keep this city at the top of the industry and economy, but add in the relaxed atmosphere and people-oriented community, and you’ve got a spectacular combination. You can’t know where you’ll meet your new beau, but you can rest assured you’ll have a great time finding them here. There’s no shortage of activities in this city! 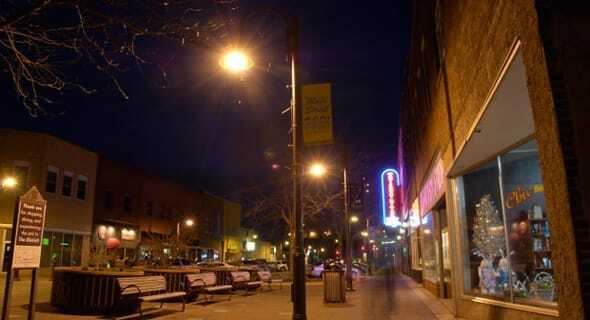 You can enjoy downtown boutiques, woodland parks, bike trails and college sports, all while finding your next significant other among the abundance of singles in Ames. With everything you love about big cities, the “Midwestern hospitality” provides that charm you’ve been looking for. It’s possible a Cyclone (an ISU student) will sweep you up while you’re here, but there’s no doubt the city will win you over. 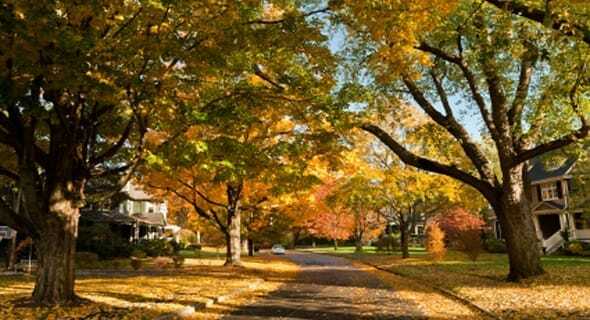 At the top of our list is Newton, known for its gorgeous, open spaces and strong community living. This vibrant, little city packs in metropolitan experiences, small town appeal and plenty of bachelors and bachelorettes. A village-based system gives you plenty of activities and adventures to endeavor as you learn your way around. Bounce around different downtowns, indulge in some Fig Newtons (named after the city) and have a great time loving and living. Simply being small doesn’t mean a city can’t offer all you want and more. These 15 cities are brimming with technology, culture, art, recreation and singles. Don’t knock the small city loving and living until you’ve tried it — you might find these cities everything you need.